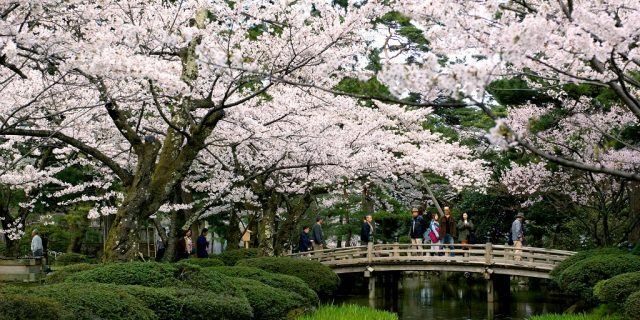 One of the “Three Great Gardens of Japan” and one of only two designated “Special Places of Scenic Beauty,” Kenroku-en (sometimes spelled simply “Kenrokuen”) is Kanazawa’s number one sight to see. Sprawling over 25 acres (100,000 square meters), the entire garden can take several hours to enjoy in its entirety, and that’s only during a single visit. panoramic views and abundant water. 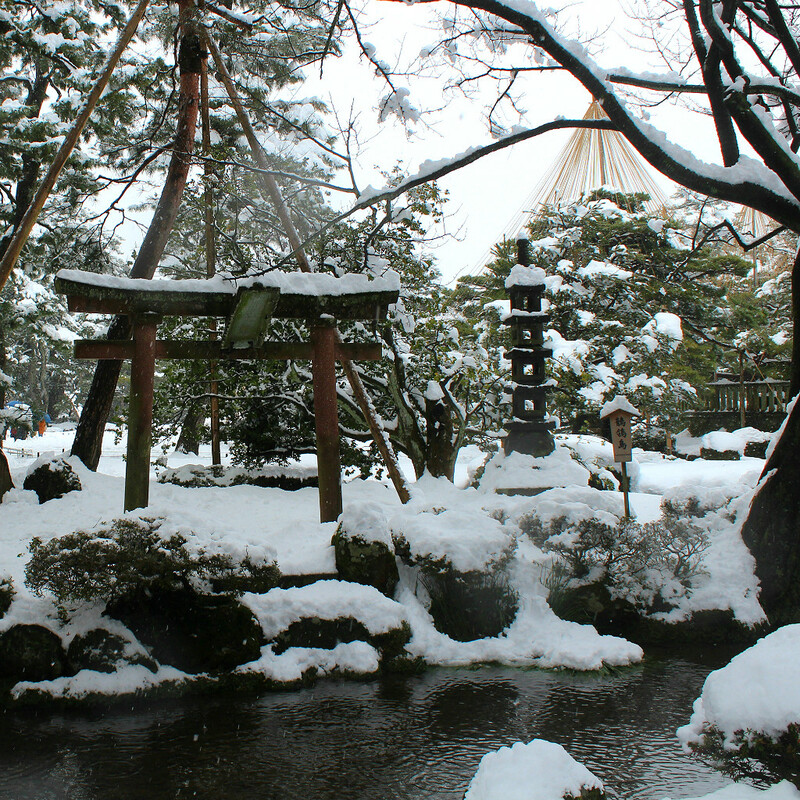 Kenroku-en is a rarity for being the only garden to combine all six. 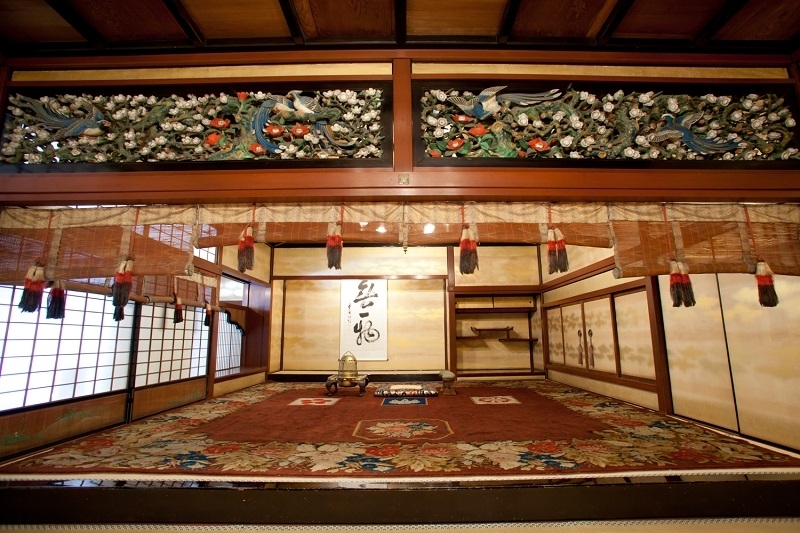 Kenroku-en depicts a changing face with each new season, and often several times in a given season. Her springs are never strictly green, with early-blooming plum blossoms in purple and white, the latter the symbol of the ruling daimyo. 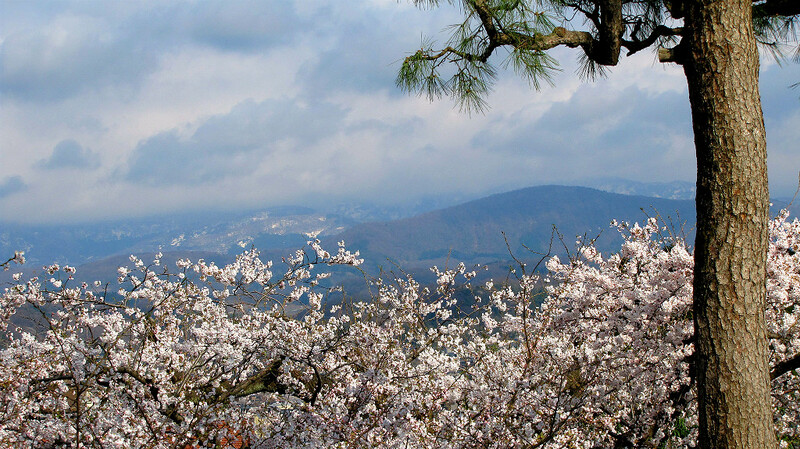 As cherry-blossom season begins, the plums fade and the pale pink yoshino cherry bloom, raining down as the later-blooming and darker sakura varieties take over. Purple irises stand out against the the darkening greens of summer. As fall chills the air, brilliant orange maple leaves set the forested areas of the garden on fire, ginko trees rain gold on the ground below. Old needles on sleeping conifers hang on branches like suspended rain. The ropes that tie the pines go up before the first snows rest on their branches. 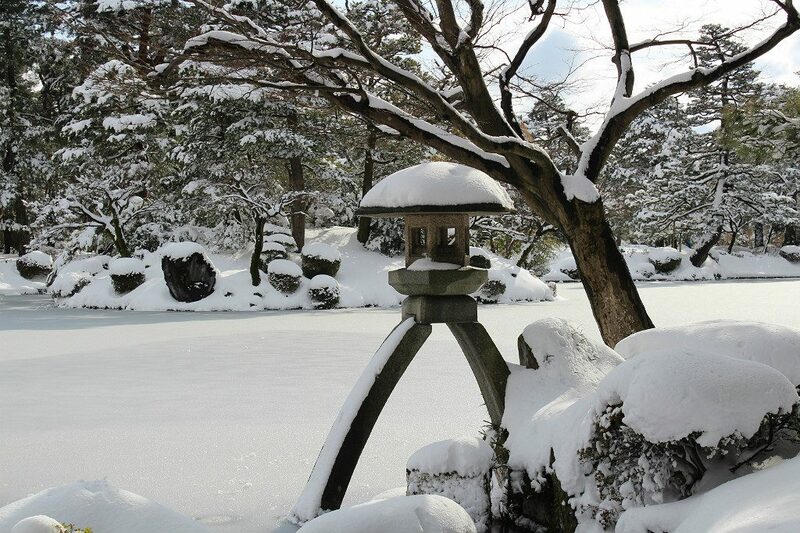 In winter, light bounces up from winter’s white carpet, making the garden appear to glow. 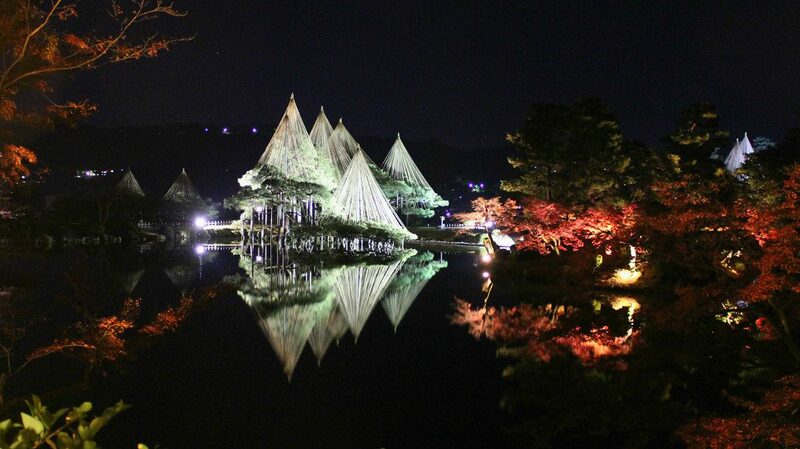 During select seasonal times, Kenroku-en is lit up after dark and free to enter. Though the entire garden as a whole is breathtaking, we recommend making special note of these spots. 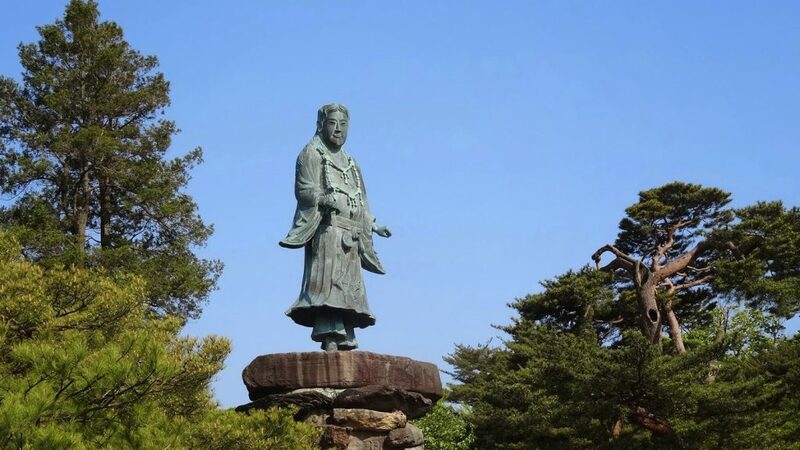 The patina statue is the figure of Yamato Takeru no Mikoto, a legendary figure of Japanese mythology on par with King Arthur. The figure was erected in honor of lives lost during the Satsuma Rebellion (depicted in the Tom Cruise movie, The Last Samurai). However, it shares some level of fame today as the winner of the Ig Nobel Prize in Chemistry. A Kanazawa University Professor discovered that a particular metal in the statue prevents birds from defiling it. 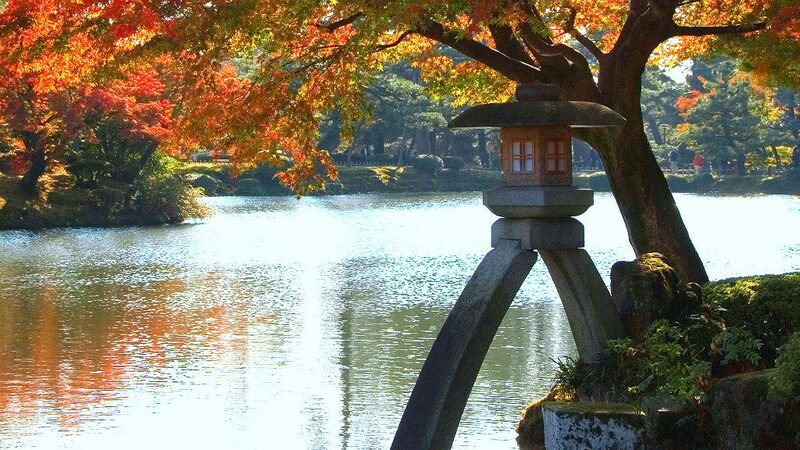 This fountain has no special name, being the very first fountain in Japan. 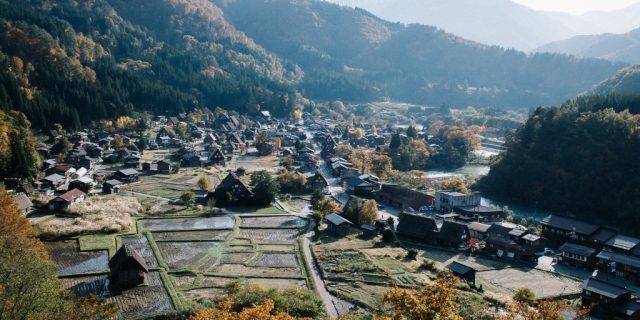 It runs entirely on the pressure created by the higher level of the nearby Sai River. 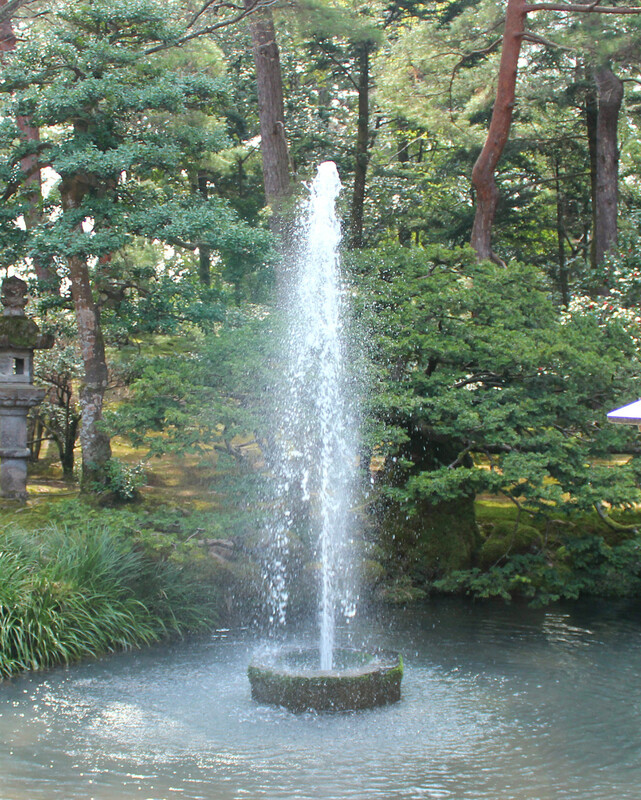 The fountain’s location is directly across from the garden’s birthplace, where it began as a significantly smaller private garden for the local ruling lords. 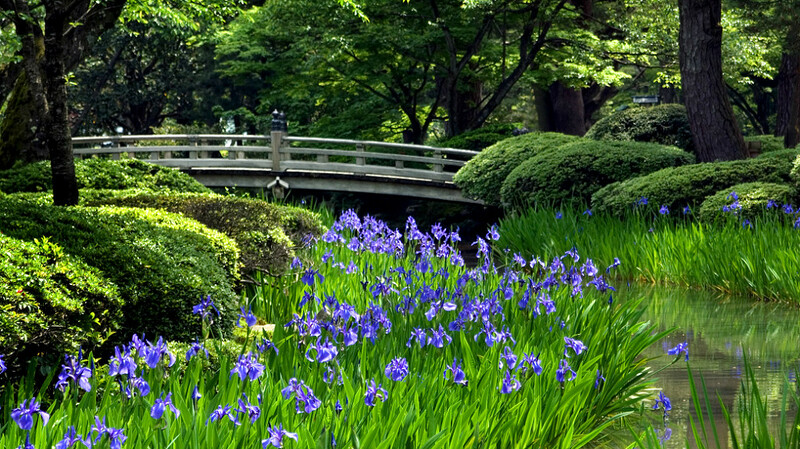 The ancient wooden “flower-viewing bridge” is one of the most photographed areas of the garden, as is no surprise. 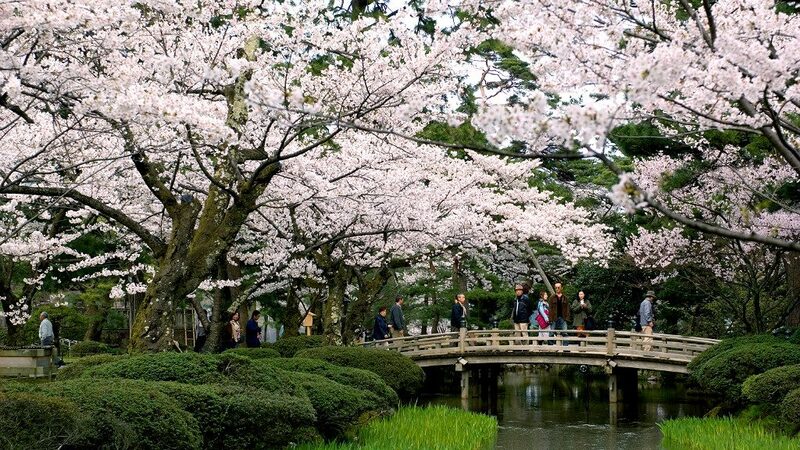 Cherry trees frame the gentle slope of light wood, and the meandering creek bears iris leaves and purple flowers along its banks. 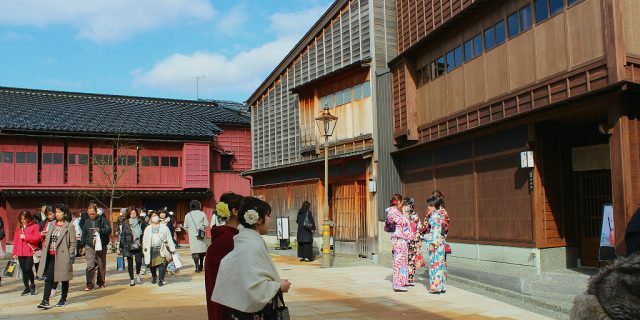 Kenroku-en is 700 meters from Kaname Inn Tatemachi.